A very informative independent documentary that I stubbled across on meditation, delving into it’s history, practice, and the science behind it. I am attempting to encourage as many people as possible to start meditating if you have not already, and also support the perpetuation of this practice, for it is the greatest thing that one can do for themselves. Categories: Meditation | Tags: breathing, buddhist meditation, consciousness, contemplation, deep breathing, how to meditate, meditation, meditation and the mind, spirituality, subconscious, the mind, what is meditation | Permalink. Geniuses are always admired by people because it seems as though they have some innate mandate from the cosmos to manifest mental brilliance and display it to the world. The most commonly known individual is of course Albert Einstein, as well as Steven Hawking; artist, Picasso; writers like Dickens and Hemingway; inventors such as Thomas Edison, and other lesser known “mental artists” like Jacque Fresco (check out The Venus Project to learn about him and his work). As brilliant as these individuals are and were, what is unknown by most people is that their abilities are not something that is outside the reach of the average person, because these individuals are (and were) people, just like you and me. So what is the difference? The difference is that they lived by their imaginations, and nurtured them and exercised them. They are in tune with what is referred to as the super-consciousness, or higher consciousness–the aspect of our being that is everywhere and in everything, and which governs our conscious and subconscious operation. The average person, when they are young is consistently discouraged from using their imagination to view the world as they ascend in age. What is not known is that imagination is not just something that is used to pass the time when one is young and then should be forgotten once one has reached a certain age. It is the aspect of oneself rooted in the frequency of existence that is trying to get one’s conscious self to create something in this reality. If it goes ignored, or worse, is actively quelled, then according the workings of the subconscious mind, over time one will learn not to listen to their intuition, and it will diminish (though not totally disappear). Let us examine why. The conscious mind can be described as the “monkey mind,” a description very prevalent in Chinese thought where it is known as Xin (pronounced “hsin”) or emotional mind. The monkey mind jumps around like a little monkey (hence the name), rarely if ever being fully present in the current moment. This erratic mind just so happens to make up only 5 to 10 percent of the overall consciousness spectrum in which we operate. Despite this, it seems to occupy the entirety of our everyday experience, twenty-four hours a day. With such a troublesome little guy hopping around in there, it may come as no surprise that it gets in the way the majority of the time, preventing the subconscious mind from fully coming to the forefront, and unleash its total potential. The subconscious mind, or the yi (the wisdom mind), is the part of consciousness spectrum that stores information and acts as the foundation that brings things to the surface, so to speak. Most functions of the human body are carried out subconsciously, and some can be both conscious and subconscious, like breathing for example. The subconscious mind has a big job, regulating things that the conscious aspect is too busy jumping around to handle, and it does more than command the involuntary mechanisms in the body. Deep-seeded thoughts and modes of behavior are the domain of the subconscious. I’ve found one way to describe how the subconscious mind functions using the movie Click, starring Adam Sandler. In the movie, Sandler’s character receives a remote control that allows him to operate his life as if it were a DVD player–pausing, playing, fast forwarding and reversing his reality. Eventually, he ends up fast forwarding so much, that the remote, having learned his behavior, automatically fast forwards through the same scenarios again and again, leaving Sandler’s character an old man, who missed out on his entire life. This is essentially how the subconscious mind works. It stores behaviors then recalls them at opportune moments, like an auto-pilot function. Now, this subconscious mind that is running the show below the surface makes up roughly from 90 to 95 percent of the consciousness complex. But here is the key: the subconscious mind is the direct link to the superconscious mind, which is connected to the ways of all of existence, and is precisely why, for instance, it is possible for people to know what is happening with others even when they are hundreds of miles away. Ideas that seem to come straight out of the blue, and intuition have their origins in the superconscious mind. Those individuals who have allowed themselves to develop a firm relationship with this aspect of their being, have extreme insight and thus develop ways of doing things that the average person deems to be impossible. Why? Because the average person’s subconscious programming is such that they believe that they are separate from everything else, and that they can’t be creators or geniuses. For if you have been told throughout your life that the world is the way that others say it is, and each time that imagination (the superconscious mind) has attempted to manifest something, it was immediately quelled, one’s subconscious programming thus learns that this being that they are cannot do anything unless it is derived via pre-approved behavior and methods; the momentary flashes of inspiration and quirkiness are dismissed as mere childish fantasies. As a result, they don’t get nurtured, and thus fail to become anything other than silly daydreams. And what those who know not how to think outside the indoctrinated programming attempt to do, is make others think the way that they do. Unbeknownst to them, essentially what they are doing is inhibiting the progression of the human race one person at a time, by attempting to eradicate extraneous and “divergent” modes of thinking. This is all too common with parents and their kids, where the child is discouraged from living in “fantasies.” Parents usually have the best intentions in mind when it comes to their kids, so it is understandable that they would want them to be able to fit in and succeed in society. However, what they usually fail to realize is that the very thing that they are trying so desperately to stop their child from engaging in is precisely the thing that could serve to make their child succeed in a whole new way. Conversely, one whose mental faculties have been nurtured and humored on a consistent basis, tend to become unbounded in their abilities, and have the infrastructure in place to create things which other’s say are impossible. Everyone’s brain can be limitless, it just depends on whether you allow it to be or not. The best way to start to explore this side of yourself is through meditation. It’s true that there is always a steady, cliché drum beat all over of “meditate meditate meditate,” but that is for a reason. Meditation will quiet the monkey mind, giving one the ability to access the part of their consciousness that can only be fully realized when it is nurtured and given room to grow. Since this is not a post on meditation, I will not delve into any details of its practice. If there are questions as to how to do meditation, there is an abundant resource on the web, or you can also contact me directly. I will be happy to answer any questions concerning meditation and some of its subtleties. My contact information can be found on the “Contact” page of this blog, or you can just leave a comment below. Categories: Uncategorized | Tags: conscious, consciousness, cosmic consciousness, genius, happiness, higher-consciousness, inspiration, Jacque Fresco, lifestyle, meditation, metal abilities, metal ability, miscellaneous, philosophy, spirituality, subconscious, subconsciousness, superconscious, superconsciousness, The Venus Project | Permalink. 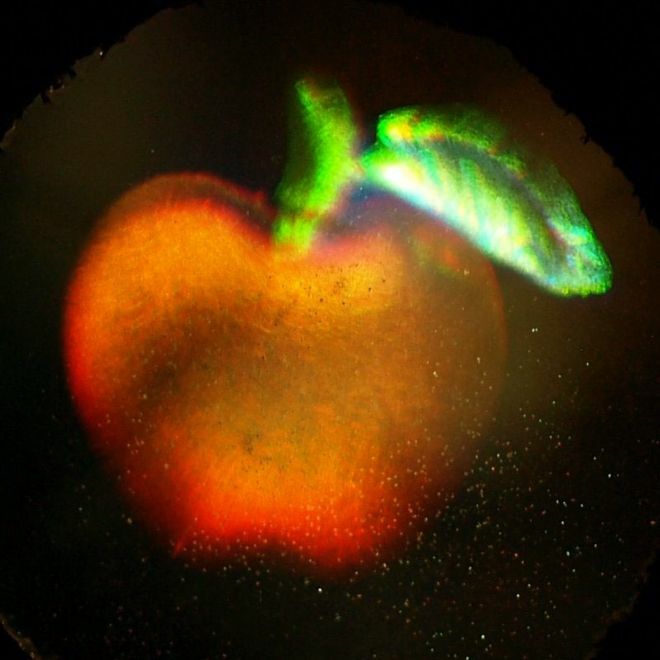 Holograms come in many shapes and sizes, and for the most part, people are at least superficially familiar with the concept of holograms, but this is mostly reserved for the realm of fun eye candy and artistic works. However, if one was told that the world around them, and in fact they themselves are holographic, it would be brashly dismissed as ludicrous dribble. Well, I’m proposing precisely such an absurdity, and I seem to be in good company. Consciousness is the driving force behind the manifestation of form within this holographic matrix. This hologram has close relations with fractals, and a lot of times, the hologram of existence is usually referred to as a fractal hologram. However, what is a fractal, and ultimately, what is a hologram? 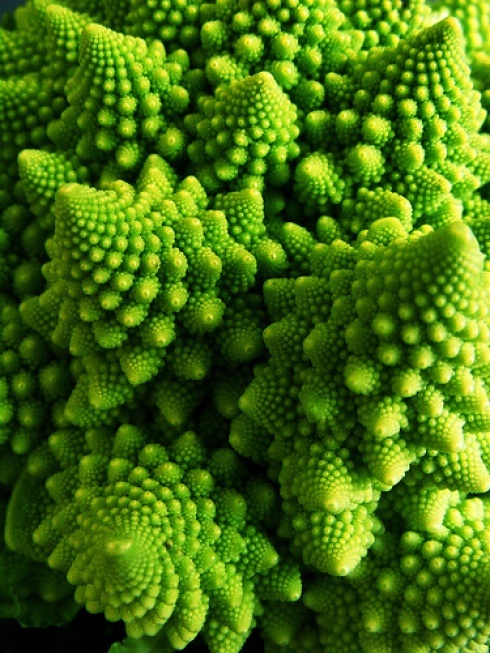 A fractal is a mathematical set whose constituent parts become increasingly detailed according to a fixed exponential formula, revealing recurrent self-similar properties as it is observed on a smaller and smaller scale. In other words, the initial object that one observes, when orienting one’s point of view closer and closer to the object, reveals the existence of a pattern within it. That pattern is constructed of a grouping of smaller patterns, with parts the same shape of the initial larger object, and are then made up of still smaller versions of the same pattern. This “bottomless pit” rendering of patterns can technically extend to infinity, eventually revealing that the initial object or image was never really made up of anything. Therefore, what one sees with their conscious eyes is a hologram–an object that appears to take the form of something due to hidden “information” within it. In other words, something that is an illusion; an illusion that has the appearance of properties that it really does not have. 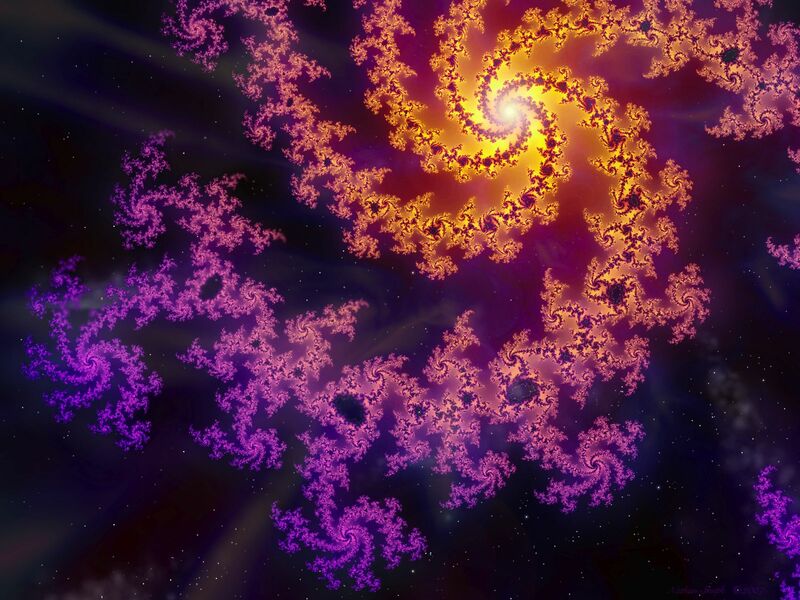 Consciousness is required to experience these fractal holograms, for consciousness precisely is the thing that brings anything into existence. For if there is no consciousness, then where is anything at all if there is no observer? I shall explain consciousness in this manner: Anything that can be acted upon by something else, is conscious, precisely because there will be an affect upon it, indicating that it exists and is subject to the natural laws of existence. In essence, the two objects mutually bring each other into existence. Now before you run the thought of “how can a rock be conscious” through your head, let me continue with my explanation. In accordance with my definition of consciousness, since anything that exists is conscious, that means that atoms are conscious, and if atoms are conscious, then molecules are conscious. If molecules are conscious, so then are cells and compounds. If cells and compounds are conscious, so then are organs, and if organs are conscious so then are organ systems, and then bodies, the brain and the individual neurons that make up the brain, who learn to identify the mass collection of additional cells that it is attached to as a collective “self.” Every individual element of the body are all independent parts that connect and function interdependently as one integrated whole. That is also akin to a rock and its individual minerals and compounds which are all made of those smaller elements which mutually bring each other into existence. The fact is that consciousness is simply everything that is. The only difference is in the way in which experience is rendered from being to being, thing to thing and part to part. The difference in the consciousness of a rock and that of a “living” being, is that a rock lacks an element called a brain (and the subsequent infrastructure of the senses) to actively respond to phenomena and identify its body as an integrated whole; however, it is conscious nonetheless. Consciousness of this is interdependent on the consciousness of that, and thus the world that is can exist. It is this non-absolute nature of consciousness that breeds the world around it, which illustrates the holographic nature of consciousness itself and thus maintains that the world it is within is an illusion; a fractal hologram. 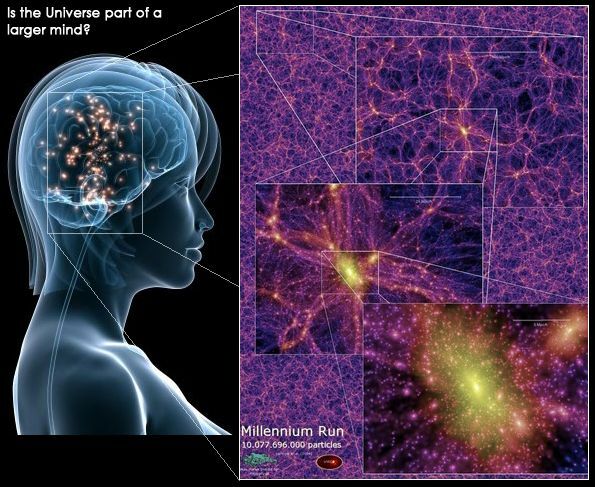 The world is a hologram, and there is a plethora of scientific studies that are finding evidence to support this. According to my own personal proposition of the nature of existence, I propound that the senses command the systematic ordering of information which they receive, in accordance with what the organism requires for it to function. This is similar to an aspect of physicist David Bohm’s and psychologist Karl Pribram’s study of the holonomic nature of the brain (Holonomic Brain Theory), dubbed the “lens-defined model of brain function”. It was thus concluded (which is in stark agreement with my own individual assessment of the nature of reality) that once the “lens” of the senses is taken away, what’s left is a hologram–energy in varying frequencies, which all contain traces of the whole; a trove of hidden information. In other words, the organism itself breeds the forms of its reality, and in its absence, what is left is what can be described as the constituent probabilities and potential for reality as we know it. This is a principle that the field of quantum mechanics explores, which includes the “entangled” nature of subatomic particles, where multiple particles, appearing to be separate entities, behave as, and in fact plausibly are, the same particle, exhibiting identical properties and mirrored remnants of cause and effect; what is done to one particle, is existent in the “other” particles–the hallmark of a hologram. Additionally, what Pribram and Bohm found is that the brain operates according to Fourier mathematics (Fourier Transforms), which incidentally is the very form of mathematics that is used in holography. So, it seems that the brain itself is oriented to render holographic information, and for what purpose would this be other than to operate within a hologram? This is a plausible explanation as to how memories are encoded in the brain, where each part contains the sum, and memories have no defined location absent of interconnection between neurological regions. You can’t put your hand through a “solid” form because the consciousness (as I explained previously is merely the ability of things, in acknowledgement of the existence of other things, to act upon and be acted upon by each other) breeds energetic and apparent “physical” barriers. This same phenomenon will cause one to cut themselves, break limbs and drinking glasses and such. It may be hard to believe that one is actually bringing such things into existence themselves, but understanding this is akin to attempting to visualize a massive object, say the size of a mountain, moving at the speed of light–what it would look like and its affect on the fabric of space-time that it moves through. In other words, it’s incredibly hard and unnecessary to wrap the faculties of the mind around, in terms of the need of the organism to function and survive in its ordered realm. Thus, likewise, the holographic matrix that encompasses and manifests the medium that gives rise to known reality, is quite literally an invisible inconceivability, dependent on frequencies of consciousness to manifest visible and tangible form. Why do a majority of people feel as though humans do not have the ability to see beyond what their own senses tell them? It is simply because the paradigm of the society which we have built for ourselves radically dismisses that which is intangible and can not be quantified, for an indulgent drive to acquire material things perceived to be separate from ourselves. It’s a desperate attempt to literally buy feelings and experiences. Such a paradigm leaves little room for the questioning of the fabric of reality that one’s brain and its thoughts have developed around. The holographic nature of reality can explain a myriad of phenomena, from telepathy, to the existence of ghosts; however, those are reserved for subsequent articles. Inconceivable or not, the principle of the holographic nature of existence and consciousness has very strong signs lending to the possibility of its validity. Reality in such a form as is suggested here, is not a new concept; delvers into the crevices of consciousness have explored similar signatures of the fabric of existence for as long as it was discovered that it could be done. What is happening now, and has been for a good number of decades, are collective strides that the human race is making in uncovering for ourselves, the primer for the interconnectedness of everyone, and the limitless potential of consciousness. Categories: Consciousness | Tags: brain function, consciousness, David Bohm, Fourier Transforms, fractal holograms, fractals, holograms, holographic, holonomic brain theory, Karl Pribram, life, miscellaneous, nature, philosophy, reality, research, science, spirituality, subatomic particles, thoughts, zen | Permalink. All that is, precisely is the process that is the universe — the happening of existence. Everything with no exceptions; The hustle and bustle that we have turned human life into; “good” things, “bad” things, the running and seeking. 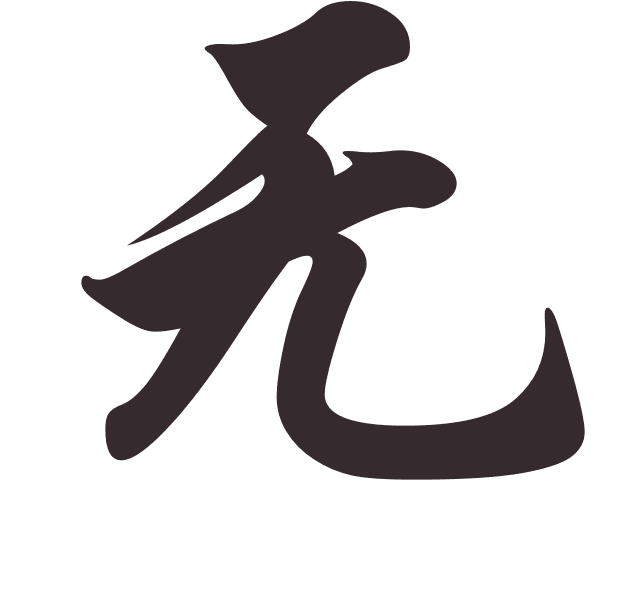 These all are it — the Dao (Tao), the way. For example, just as there exists edible plants, but some will cause harm if consumed, so there are aspects of this happening of existence that are not favorable for us, but it is there nonetheless. Most walk around unconscious of their connectedness, however, because it exists, this ignorance is also the process as well. Those who are conscious of their connectedness, those who are awakened, are no different from anyone else for it is still all just the universe interacting with itself. A conscious being is not separate from existence. All are merely forms originating from the same emptiness. When one reaches this level of understanding, form enters into formlessness. Dualism disappears, and all is exactly the same. At this point there is no longer a need for the finger to point at the moon; one has spotted the moon. Buddhism disappears, non-buddhism disappears. Nirvana is revealed. Everything is just as it should be. Everything is Mu. Categories: In The Words of Zen | Tags: awakened, buddhism, consciousness, enlightenment, Mu, Wu | Permalink.